Plans for a smart motorway along the M56 between Hale and Altrincham are to be shown to the public at two events this coming weekend. 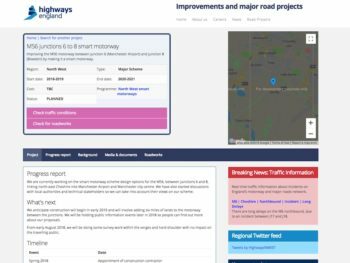 The £62m project will convert the hard shoulder into an extra running lane in both directions between junction 6 and junction 8, and provide technology to improve traffic flows. Work is set to start in the new year with the smart motorway opening in spring 2020. 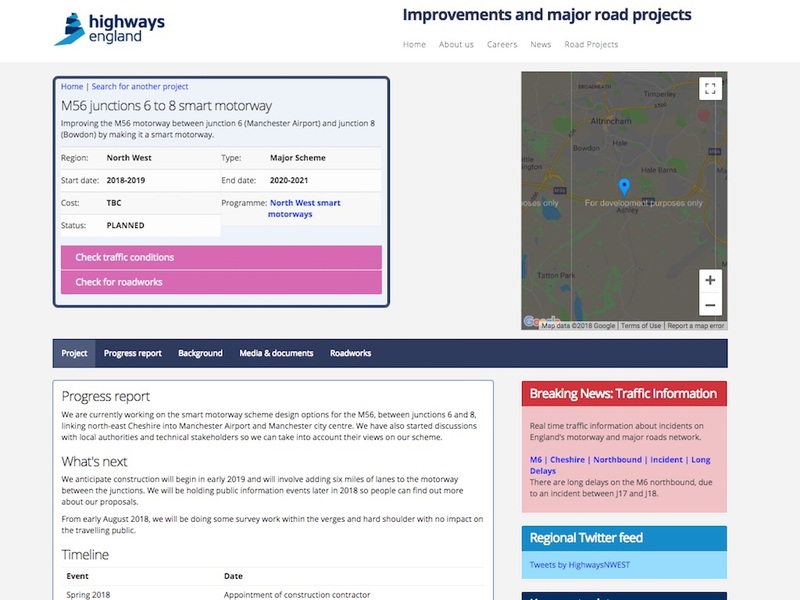 The information events will enable the public to have a look at the plans, see how the scheme will work in terms of traffic management and find out a bit more about how the smart motorway will operate. Details of the project can also be found here.